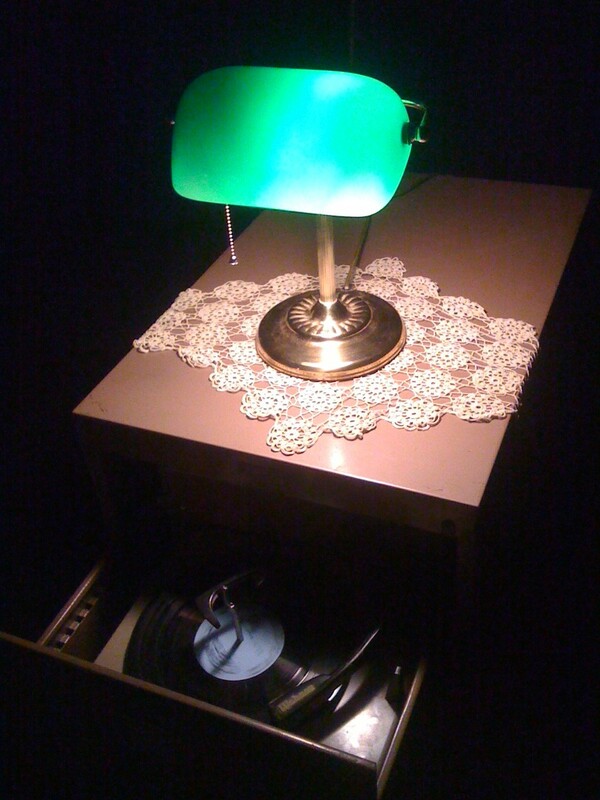 Fragments (of the Story) was installed at Jack Straw Productions New Media Gallery from February to April 2011. It is in part an audio rendering of a novel by Allen Frost called The Mermaid Translation (Bird Dog Publishing, 2010). All the sounds and words of this installation are derived from this book. Actually it is less a precise rendering and more a remembering of the events this novel recounts and as such the novel provides the framework on which to hang the ideas explored in the installation. I would hazard that most of us do not simply remember things verbatim from start to finish, as a story. Memories are abstracted by how we remember, by the addition of new memories, by time. There are fragments: snatches of dialog, sounds, interpretations, improvisations, smells, tastes, emotions, memories on top of memories, that our brains put together to form some sort of whole. This process can and often does go partially or fully awry. I collect very old 78rpm records. To play them I have an old wind-up Victrola. To adjust the “volume” on this purely acoustic sound reproducer you must pull a knob which literally opens and shuts a door to block or muffle the sound. 78rpm records are, in a way, old memories. Victrolas store and replay these memories. This installation has almost nothing to do with Victrolas and 78rpm records but that was the starting point. 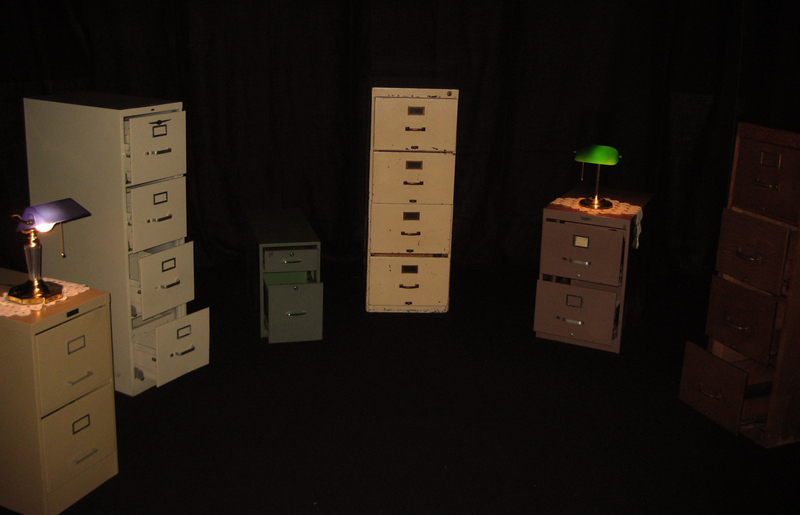 From there, somehow, the leap to filing cabinets—each with their own potential resonant qualities—and to the idea of filing away memories and to the thought that viewers could open and close drawers full of auditory memories to create their own narrative or soundscape.